National Geographic and Lakeshore Records partner with Golden Globe®-nominated composer Daniel Pemberton (“All the Money in the World,” “Molly’s Game,” “Gold,” “Steve Jobs”) to unveil the richly compelling score for ONE STRANGE ROCK, a 10-part global event series premiering on National Geographic on Monday, March 26, at 10/9c. Lakeshore Records will release the original soundtrack digitally on Friday, March 30. Academy Award®-nominated filmmaker Darren Aronofsky (“mother!,” “Black Swan,” “Requiem for a Dream”) and award-winning producer Jane Root (“America The Story of Us,” “The 80s: The Decade That Made Us”) collaborate with host Will Smith and eight legendary astronauts to tell the extraordinary story of our curiously calibrated, interconnected planet. 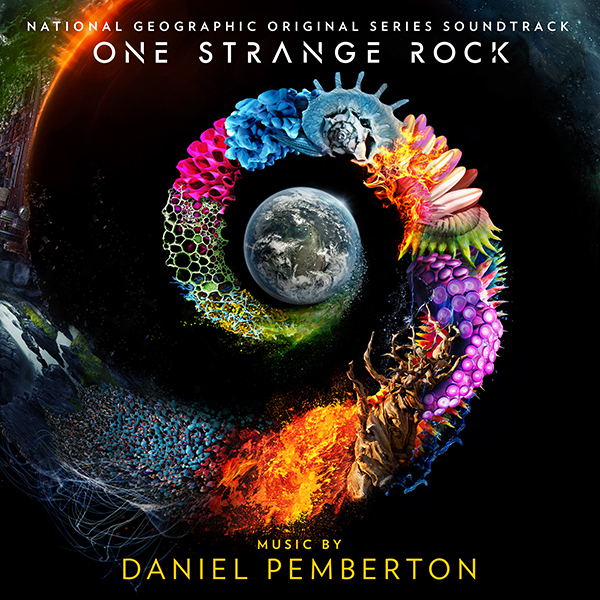 Pemberton’s intense score complements the visual brilliance of ONE STRANGE ROCK, exposing the hauntingly ethereal beauty of Earth, the only place we call home. His dynamic sound coupled with the cinematic storytelling takes audiences on an electrifying trip across 45 countries, six continents and outer space.